With years of experience working with Great Southern Rail and the visiting Cruise Ships across Australia, Grand Touring are the best choice for transfers, private touring or charter services. Grand Touring has been providing Great Southern Rail passengers with transport for years. 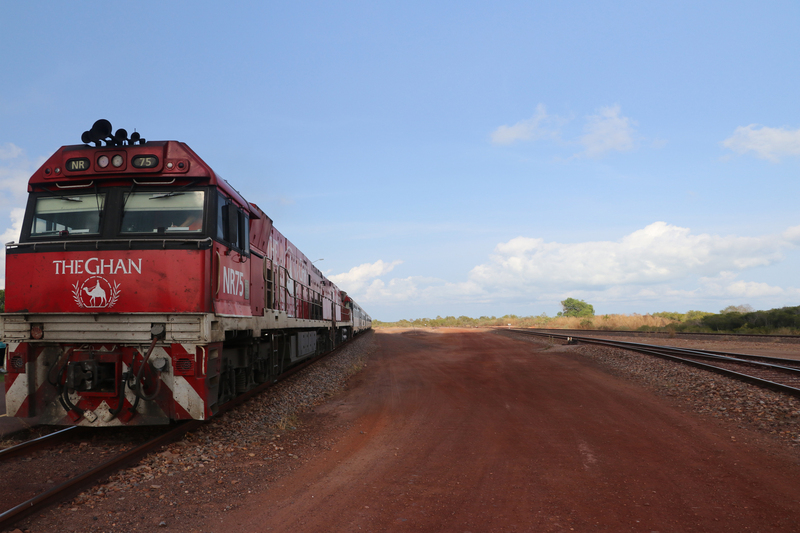 With services in both Katherine and Darwin, we are GSR’s trusted transport partner in the Northern Territory. 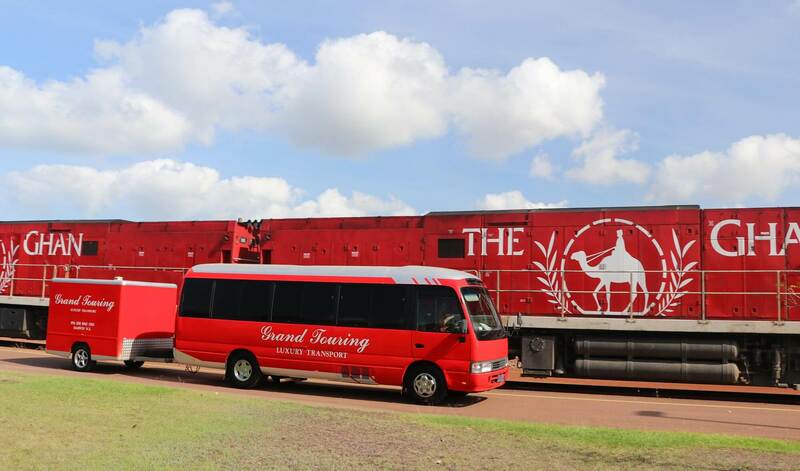 We have been given the opportunity to co-ordinate the fleet of coaches to pick up the passengers on the Ghan as they come through Katherine and as they reach their final destination in Darwin. 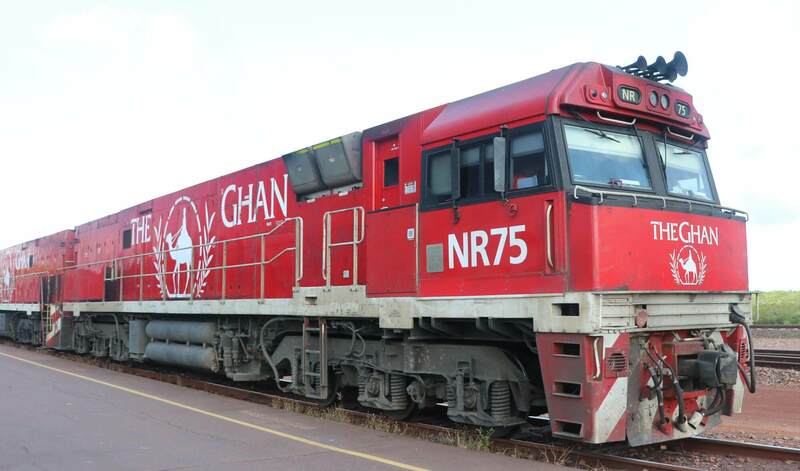 The Ghan is Australia’s most iconic railway line and we take great pride in providing the service to the travelers as their journey comes to and end. 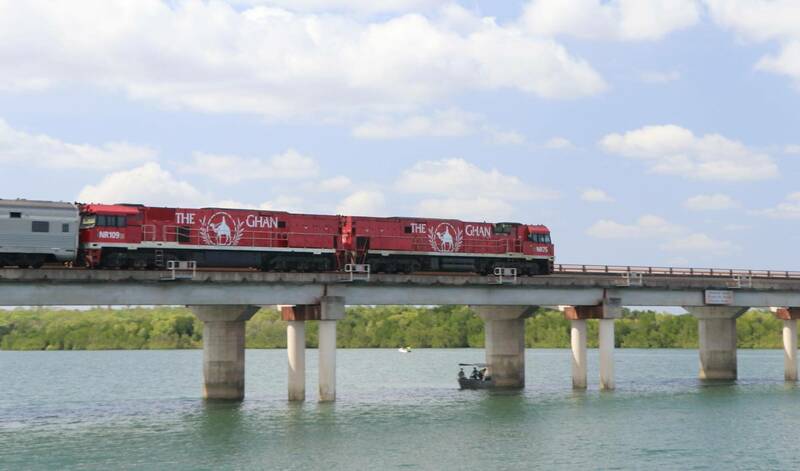 Our operators work tirelessly to ensure that our fleet remains in excellent condition as thousands of passenger are transported around Darwin every month. 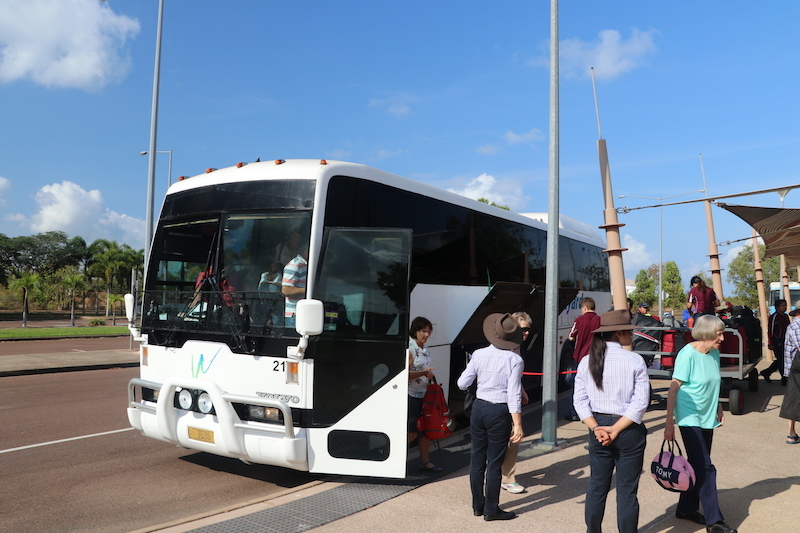 This means for us that our drivers and staff are constantly gaining experience and working with external agencies to provide quality services to the city of Darwin. We take great pride in providing the city of Darwin with a quality service and want to see the city grow and become more popular over time, we know that doing the simple things right makes a big difference in the long run. When you book with Grand Touring you know that you are getting a genuine Australian service and are supporting the Darwin economy. We have a variety of private and public tours available for guests; the perfect way to immerse yourself in the Territory. In Katherine, the Ghan will travel through some incredible sandstone gorges which were created by the flowing waters of the Katherine River over time. 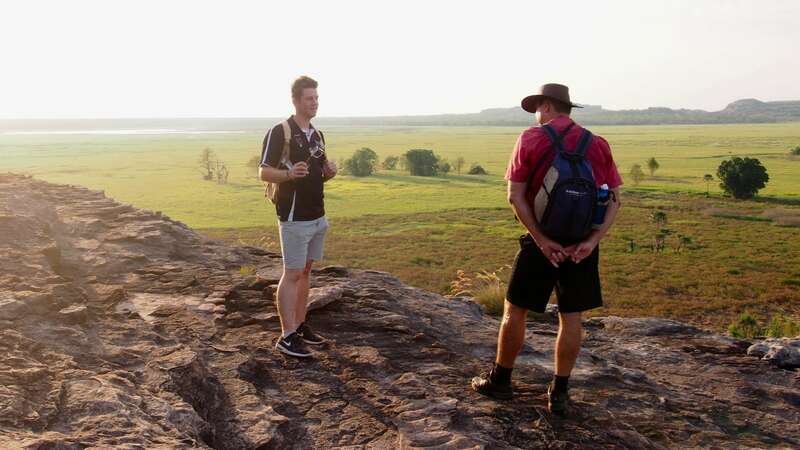 As you come to a stop in Katherine, Grand Touring will take you on your chosen tour for the day or drop you off in town so you can explore the area yourself. You will get the opportunity to learn about the indigenous culture and land long before trains existed. The original name for Katherine is Nitmiluk, which has the meaning of the place of the cicadas. 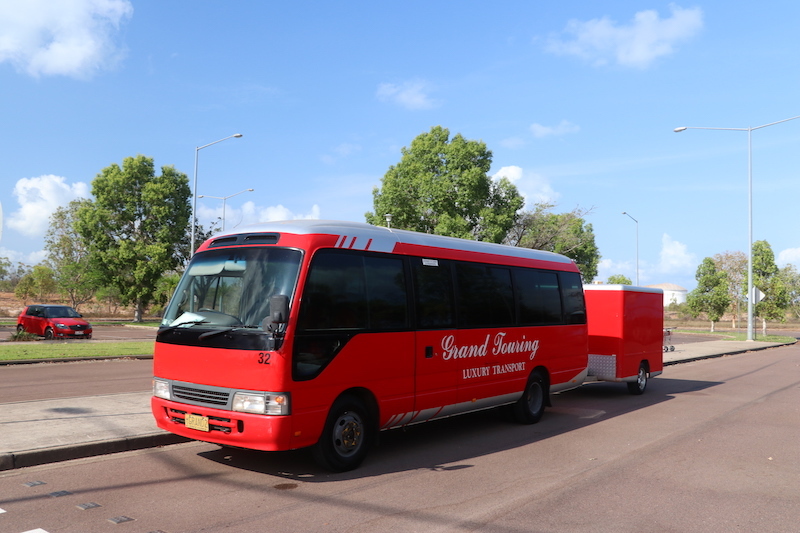 On arrival in Darwin, Grand Touring will be waiting for you on your arrival and assist you with putting your luggage on board for your transfer into the Darwin CBD. Once in Darwin you will be able to discover the city on your own, Book A Day Tour to better explore the area and enjoy the social nightlife in Mitchell Street. Once you arrive in Darwin, we can’t recommend enough jumping on board our Litchfield Swimming Adventures Day Tour which offers pick up all around the Darwin CBD and includes breathtaking waterfalls, secret swimming holes, healthy lunches and walking adventures. 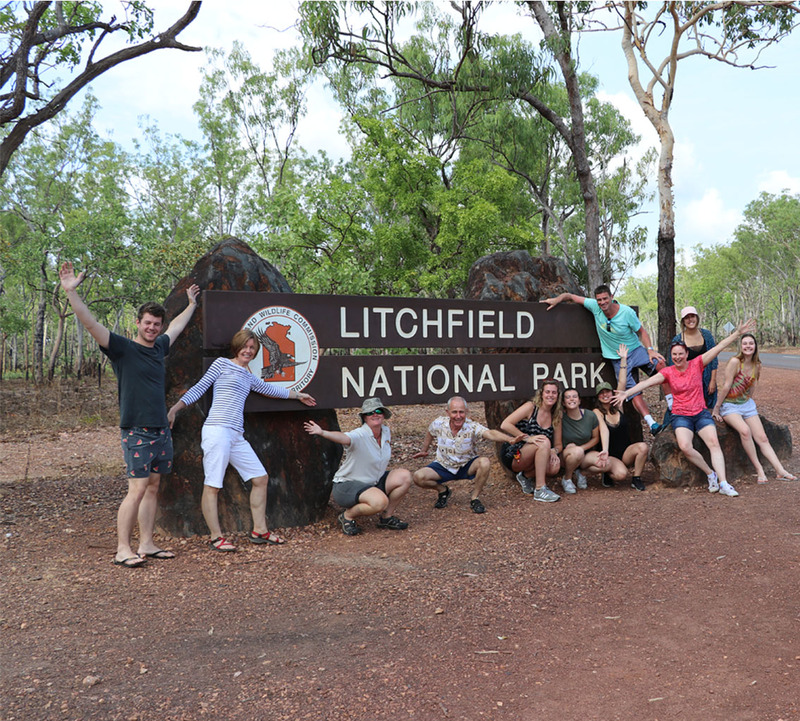 In the tour we travel approximately two hours south from Darwin, past abandoned WWII airstrips and the town of Batchelor, for the journey through to Litchfield National Park. Ascend the rocky Tabletop Range where dry woodlands and forests dominate the huge sandstone plateau. Arrive at Litchfield National Park. You will take in the splendour of thundering waterfalls, picturesque rainforests and sacred historic sites as we begin our Swimming Adventure. Visit the tours page to read more about our Litchfield Swimming Adventures Day Tour. Grand Touring has been providing touring and transfers for cruise ships that dock into Darwin each year. Our staff here coordinate a large fleet of coaches to ensure travelers are met with a quality experience and service when they hop off the cruise ship. We pride ourselves in providing informative, comfortable and exciting shore excursions to thousands of cruise ship passengers each year. It also means that for us, we continue to gain experience and knowledge in the tourism industry which we use as a foundation to operate our own Day Tours available to the public during the dry season. Grand Touring has been providing touring and transfer services in both the Northern Territory and Tasmania for years. 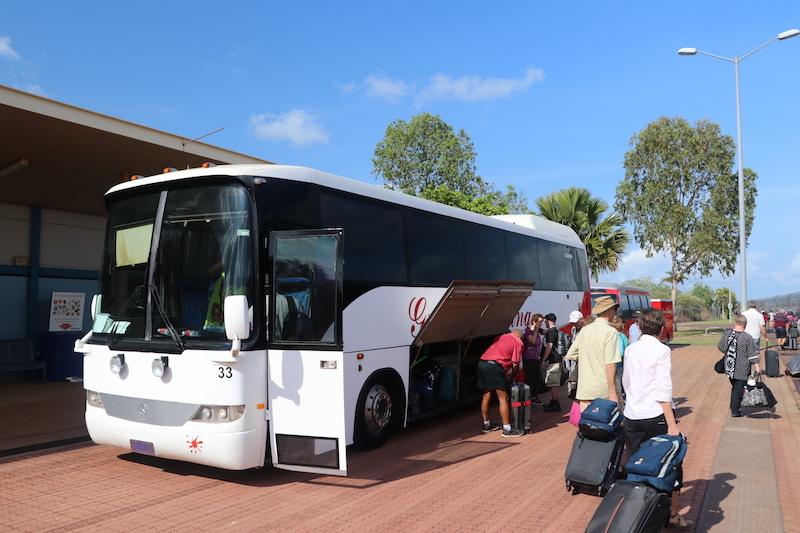 GREAT SOUTHERN RAIL TRANSFERS: In both Katherine and Darwin in the Northern Territory, the Wynyard Bus Lines Group safely transport thousands of passengers travelling on the Ghan to their hotels and accommodation, as well as transferring them to some of the Territories most popular sites including Nitmiluk National Park and Katherine Gorge. LUXURY DAY TOURS: Private tours throughout the Northern Territory and Tasmania are available and are perfect for clients visiting the area or special events. Whether you are after customized or set itineraries we can offer a day tour to perfectly suit your needs. LOCAL SCHOOLS: Our staff and drivers are experiences with services our local schools under Wynyard Bus Lines and provide safe and reliable transport to thousands of children throughout Tasmania whilst travelling to and from school each day. If you are looking at booking a school excursion contact one of our staff to enquire about having one of our coaches. GOVERNMENT SERVICES: We are regularly transporting international servicemen and women including the U.S Navy and the U.S Army as well as the Australian Army. Grand Touring Coaches also safely transport Government officials and meet high expectations and safety requirements for the services, meaning our drivers and staff have experienced backgrounds in being punctual and providing a quality service every time.